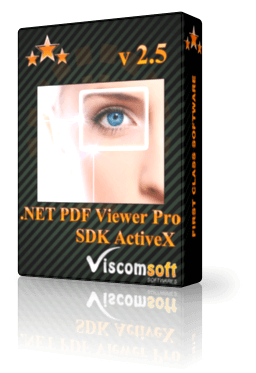 With .NET PDF Viewer SDK , the developer can easily add PDF, TIFF viewer capability to their applications. Load and view PDF document. Export all pages to BMP, EMF, GIF, ICO, JPEG, PNG, TIF, WMF image formats. Export specific page to BMP, EMF, GIF, ICO, JPEG, PNG, TIF, WMF image formats. Support zoom in, zoom out, Fit Page, Actual Size, Fit Width, Fit Height and Zoom to a specified ratio.. Include VB.Net 2010 and C# 2010 samples. added support export all pages to BMP, EMF, GIF, ICO, JPEG, PNG, TIF, WMF image formats. added support export specific page to BMP, EMF, GIF, ICO, JPEG, PNG, TIF, WMF image formats. fixed PageChanged event cannot fired when open PDF file , then open another PDF file.